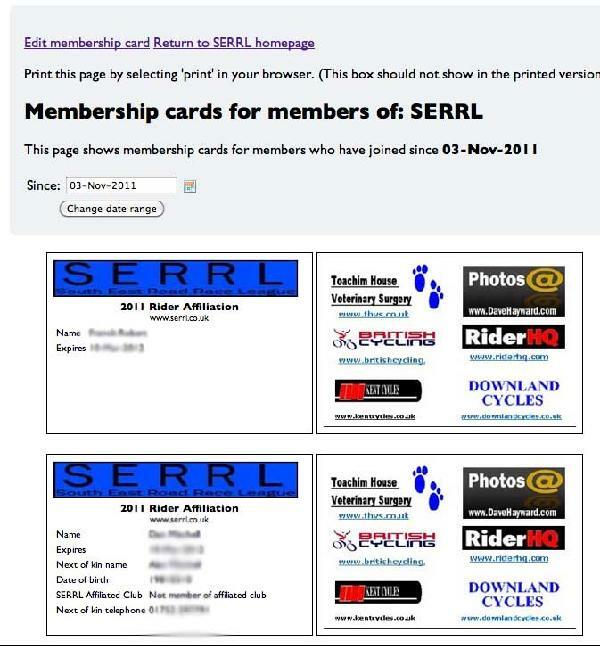 Enter in some details and choose what information from your membership form you want to appear on the card. 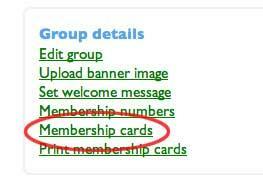 We will automatically include name, expiry date and membership number (if membership numbers are enabled). 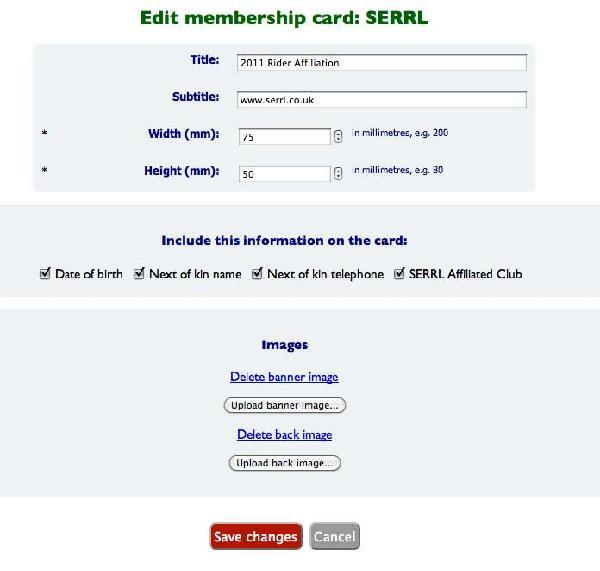 You can also upload images which are included on your card. These should be close to the dimensions of the card - one image to cover the entire back surface and a 'banner' image that should be the width of the card and about a fifth of the height, to appear on the front surface at the top. You can also print out individual member's cards by clicking on the 'print card' link next to their name.